Top view. It's a lot of components for a simple function. 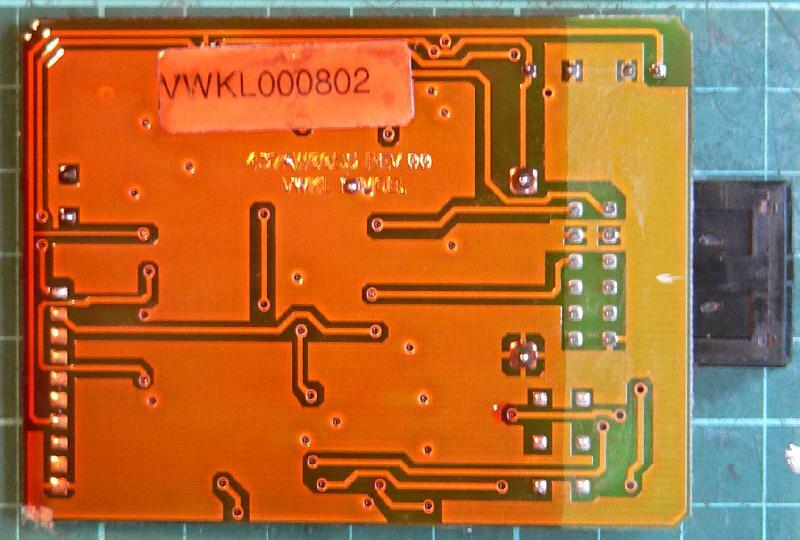 The PIC16C57 processor is labelled "VWKL VN1.3", I would speculate that the working name for this unit is most likely "VWKL" and the firmware is obviously V1.3. Resonator is 4 MHz. The V23026-D1025-B201 relay is from Siemens, it's a SPDT unit with a 9V coil. 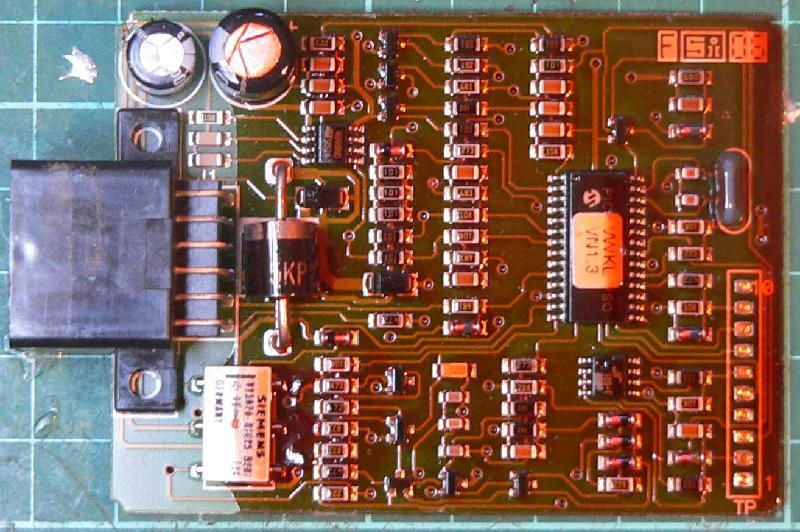 The chip at the top left is an L4949 5V regulator, and the transistors are marked "5Cp" and "6C" which makes them HC807 and BC817 respectively. and I can't find any info on it. It's only connected to 0V and to the PIC via two lines, no connection to power that I can see. 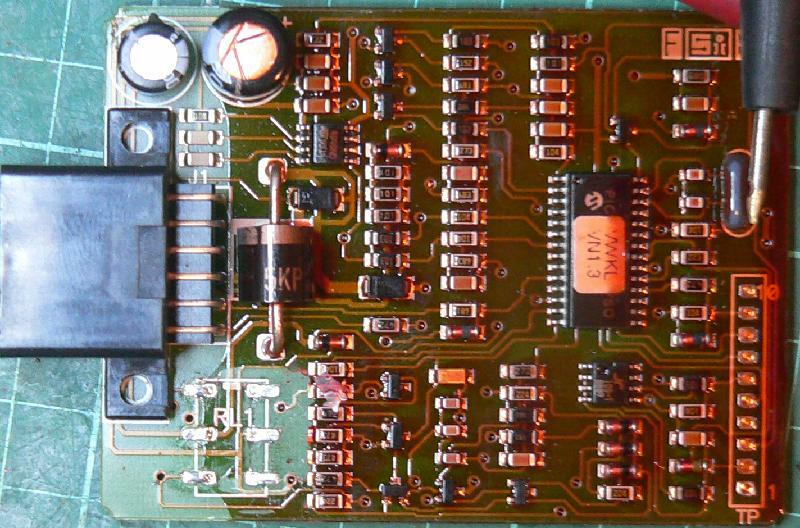 Immobiliser PCB with relay removed. Only the normally-closed contact are used. 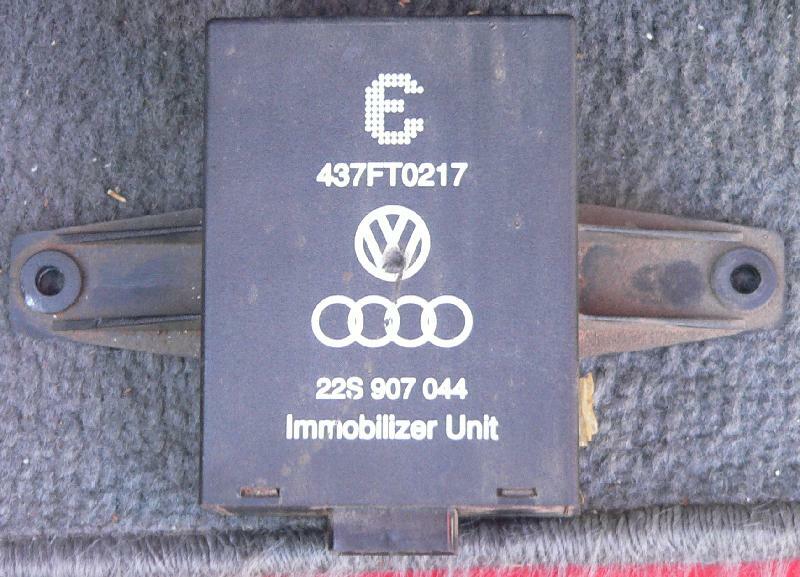 Presumably the immobiliser fails "safe" so that when the PIC doesn't come up, it never powers up the relay and that bypasses the immobiliser. 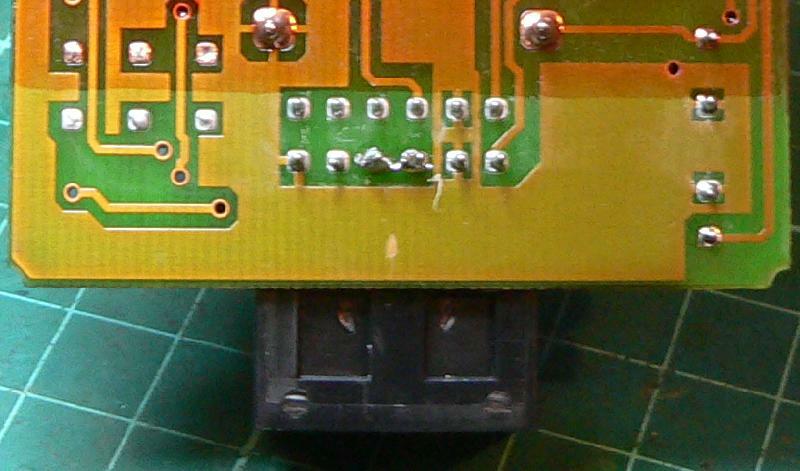 Looking into the PCB mounted connector with the component side up. For the record, this is one way of immobilising the immobiliser, while still keeping the blinking LED on the steering column.